Research and Markets has announced the addition of the "Global Markets and Technologies for Natural Gas Storage" report to their offering. 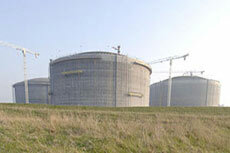 This report on natural gas storage market anticipates technology shifts, evaluates pricing trends for key North American and European wholesale gas markets, assesses the impacts of new and proposed infrastructure on liquefied natural gas (LNG) and underground gas storage projects, and determines their effects on the market, and identifies the key structural and strategic factors that will drive growth and opportunity in the LNG and natural gas storage industry to 2020. This report: assess’ how new technology developed by the industry has greatly reduced the cost of storing and delivering natural gas and LNG to customers; quantifies the impact of new technologies, industry structure, business trends and regulatory change; identifies the key structural and strategic factors that will drive growth and opportunity in the LNG and natural gas storage industry to 2020 and evaluates the economic, industrial and environmental benefits of storage. The global natural gas storage market will reach US$796.4 billion in 2020, up from US$562.2 billion in 2015, registering a capital annual growth rate (CAGR) of 7.2% for the period of 2015 - 2020. Underground gas storage (UGS) as a segment will increase at a CAGR of 2.9% over the forecast period to grow from US$374.2 billion in 2015 to US$430.5 billion in 2020. The liquefied natural gas (LNG) tanker trade segment is expected to reach US$120.5 billion in 2015 and US$197.0 billion by 2020 increasing at a CAGR of 10.3%. 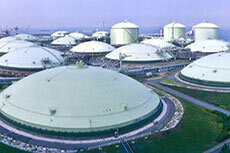 According to a new report by Transparency Market Research, the natural gas storage market will reach 3.7% CAGR during 2015 – 2023. According to the US Energy Information Administration, natural gas storage levels are within 7% of 5 year average after record injections. According to the US Energy Information Administration, storage injections have continues to outpace the five year average this summer. 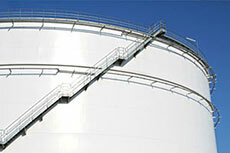 A new report has been released by Markets and Markets that looks at the natural gas storage market, global trends and forecasts to 2019.